Mr. Trump: Can You Deliver it? U.S. assets reacted in a see-saw fashion to Donald Trump's victory. Stock futures first dove deeply before climbing up to strong gains as investors developed a view on what kind of economic policy president-elect Trump is likely to pursue. They seem to be pricing in an expectation of higher growth and inflation, as well as an earlier Federal Reserve exit from ultra-low interest rates and from holding U$ 4.45 trillion of Treasury bonds. Shock waves hit international financial markets leading to a rotation into equities and away from bonds. While global equities gained about U$ 1 trillion, global bonds lost close to U$ 1.2 trillion - according to Bloomberg. However, emerging markets have suffered from capital outflows, currency depreciations and losses in both equity and fixed-income markets, anticipating tighter monetary conditions and a potential "tariff tantrum". Three components of Mr. Trump's platform and statements seem to be underlying such a view: a big surge of spending on infrastructure, corporate tax cuts, and (financial and business) de-regulation. Some analysts have pointed out that such an agenda may well be inspired in Reaganomics. The Ronald Reagan presidency (1981-89) witnessed higher GDP annual growth rates (3.1%) than the 2.4% p.a. of preceding Ford-Carter years (1974-81) and the 2.0% p.a. of the following Bush-Clinton years (1989-95). Additionally, real median family income and productivity also grew faster during the Reaganomics than in the other two periods. Given that stagnation of the real median income (Chart 1), sluggish productivity (Chart 2) and loss of manufacturing competitiveness are acknowledged as influential factors feeding anger at the "establishment" electorally explored by Mr. Trump, returning to Reagan's years might well become the meaning of "making America great again!" The question is whether such a policy revival under different circumstances might deliver similar results. Furthermore, it came out loud and clear how local levels of income inequality and certain demographic features - higher share of older people, lower levels of college education, U.S.-born non-Hispanic white population - boosted Trump's vote. 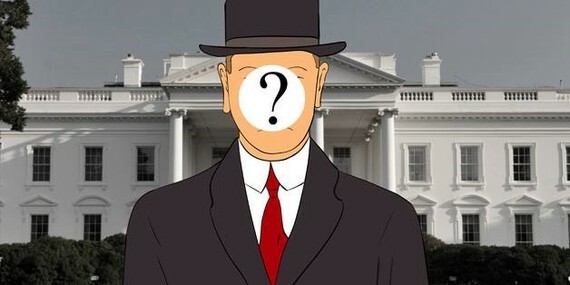 Would a revival of Reaganomics help deliver a response to the discontent with the "establishment"? There are important differences in macroeconomic settings as starting points. Firstly, while President Reagan began his mandate with a gross federal debt to GDP ratio close to 30 percent, Mr. Trump will start at over 100 percent. President-elect Trump has committed to increase infrastructure spending by up to US$ 550 billion in the next 4 years. Raising infrastructure investments has been previously advocated by the International Monetary Fund and prominent economists (such as Lawrence Summers) to support job creation and growth in the near-term. As suggested by experience in the U.S. and abroad, though, sudden surges in public investments are not easily implemented, and more details are needed on whether this plan will come through public-private partnerships or from outright public investments. In any case, the surge of infrastructure investments will likely take some time to be launched and implemented, with a corresponding back-loading of its effects on both the demand and supply side. In the meantime, personal and corporate tax cuts and higher spending on defense may lead to rising public deficits. This is in contrast with the recommendations by the IMF and others in favor of loosening fiscal policies to economize on monetary stimulus provided that, on the other hand, medium-to-long-term adjustment reforms are announced. A credible medium-term anchor should be in place to avoid fueling fiscal uncertainties by reassuring a downward path of debt to GDP ratio. The country faces many medium-term challenges--including aging demographics--that call for caution regarding future fiscal deficits. The IMF has argued in favor of, among others, supply-side policies -- structural reforms -- to boost potential growth. Upgrading the country's infrastructure is among them. Other recommendations are increasing protection for low income households, including higher federal minimum wage, incentives to increase participation rates in the job market, improvements in the education system and additional international trade. These supply-side reforms do not seem to fit in a Reaganomics-like agenda. In fact, corporate tax cuts may well simply increase corporate profitability -- another reason for the equity markets' euphoria -- without any major consequence on investments, as U.S. companies, in general, have already abundant cash on hand. It is unclear at this stage whether financial and business deregulation might be enough to change the landscape of market structures and prospective returns on fixed assets the way it did during Reagan years. In case these policies succeed at boosting domestic aggregate demand, there are yet other differences compared to Reagan years. While Regan started his mandate with high unemployment rates and an effective federal funds rate at 19 percent, Trump will receive an economy that is almost at full employment and an effective federal funds rate at around 0.5 percent (Chart 3). Therefore, while Reaganomics could benefit from falling interest rates and labor market slack, currently low unemployment rates and uncertainty about the smoothness of asset price adjustments during a faster transition out of unconventional policies raise fears of inflation and financial market jitters. At some point, the sovereign yield curve may steepen further, reflecting more than just higher implicit inflation. This would have broad implications for both domestic and foreign economies. It is on the trade front, however, that differences are deepest. President-elect Trump has advocated for trade policies away from the U.S. tradition of liberalization (Canuto, 2016). Downside risks may materialize if the spur of fiscal stimulus is effective in boosting demand, but also leads to some surge in imports, without any clear immediate sign of income improvements to those groups who voted for Trump. Any abrupt rupture of current linkages in the global value chains could hurt the domestic corporate sector. In addition, a protectionist shock would fuel inflation, constituting a negative supply shock and reducing business profitability. A protectionist trade war may further derail an already fragile global economic recovery (Canuto, 2016). Best international practices would suggest re-training policies and strengthening of social safety nets, rather than blaming trade. As in other advanced economies, the U.S. labor share of income has witnessed a secular decline due to a combination of factors -- including technology -- that accelerated in the 2000s (IMF, 2016). Protectionism will not help in that regard. Over the medium term, a pro-immigration policy would help to overcome aging constraints to GDP growth. Mr. Trump's GDP growth target was announced as 4 percent, while the IMF forecasts potential output close to 2 percent. In the short-term, policies that increase participation rates in job market could alleviate some of the pressures from a tight labor market. However, "demographics are an immutable headwind" as rightly pointed by the IMF. Furthermore, as former Fed Chairman Alan Greenspan pointed out immigration has been an important way to expand the supply of skilled workers. Even though current volumes of H1 visas are too small to cope with the "retirement wave of skilled baby boomers", immigration has already had positive impacts. Even if softened after election, the restrictive attitude of president-elect Trump regarding immigration will not help on that front. Additionally, negative spillovers to the global economy from higher and steeper U.S. yield curve, with a corresponding negative feedback loop to the US economy should not be dismissed. It has been recurrently highlighted that the debt overhang is an important source of vulnerability to the sluggish global recovery. The IMF has argued that short-term risks have abated in recent months up to the last one, despite still envisaging risks building up over the medium term. Corporate leverage in emerging markets, household debt in several advanced economies and sovereign debt remain elevated compared to historic levels. On the side of emerging market economies, the fact that central banks had to intervene heavily last week in foreign exchange markets may be a harbinger of perilous dislocations of assets ahead. According to the HSBC, the emerging market sell-off has been worse than at the beginning of the "taper tantrum" in 2013. The need for global coordination of fiscal and monetary policies has been repeatedly stated by multilateral institutions, including a well-crafted communication strategy from central bankers. A more inward-oriented U.S. policy may add important risks and unintended consequences. Financial markets seem to believe that president-elect Trump can deliver higher growth and inflation, as manifested in the rotation from bonds to equities. At the same time, the shock waves already felt by assets abroad may be a harbinger of the bumpy and treacherous journey ahead. No wonder Mr. Trump's softening of statements -- and campaign promises -- after the election has been taken with sighs of relief. 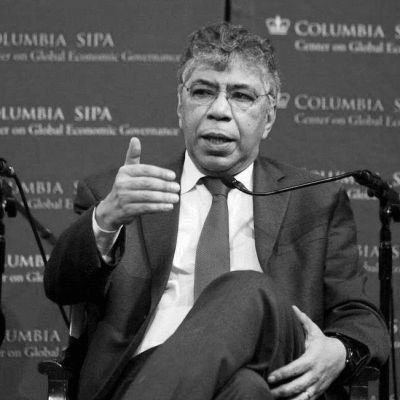 Otaviano Canuto is an Executive Director at the World Bank and Matheus Cavallari is a Senior Adviser to the Executive Director. All opinions expressed here are their own and do not represent those of the World Bank or of those governments Mr. Canuto represents at its Board.